Training programs present nothing more than OPPORTUNITIES to take YOURSELF to your next level. Rather than sitting back to wait and see if a training session is worth your time, see each session as YOUR responsibility to MAKE it worth your while. Continuously ask yourself: �How can I use this?� This will open your mind to receive some practical insights and ideas. Rather, go into each session determined to make it help you grow. The fact is that you will get no more from any training than you put into it. 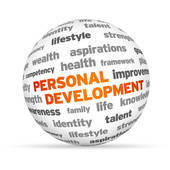 Personal development that leads to greater success begins with your intention. INTEND to make your time count. Discipline yourself to self-reflect on how you need to grow, on ways you need to develop to be more effective. Don't WAIT to be interested in the content of the training session. BE INTERESTED in seeking and finding ways to make the time you spend in that session count for you. Remember the purpose you want a training session to fulfill: To help you to become better at what you do; to become a better, more effective, fulfilled and successful human being. You have to go in with the desire to grow, with the intention to find something in the session to help you to be more successful, with the decision to ENGAGE in the session in ways that lead to your self-improvement. Abandon cynical attitudes that expect a waste of your time. The ONLY thing that wastes anyone's time is being disengaged in the present. Remain committed to finding ways to get value � real value � out of each moment. The relentless determination to grow defines what drives the greatest achievers. What we do for a living gives us an opportunity to find and face ways we can become more effective to become more successful, and to develop our effectiveness through self-work and the practice of new disciplines. Your future is determined by your level of effectiveness. To be more successful in any area of your life, look for ways to be more effective. The greatest achievers are always on the lookout for opportunities to take their �game� to the next level. Go into each training session feeling excited about this opportunity to find better ways of functioning. End of Part One. Part 2 coming soon.